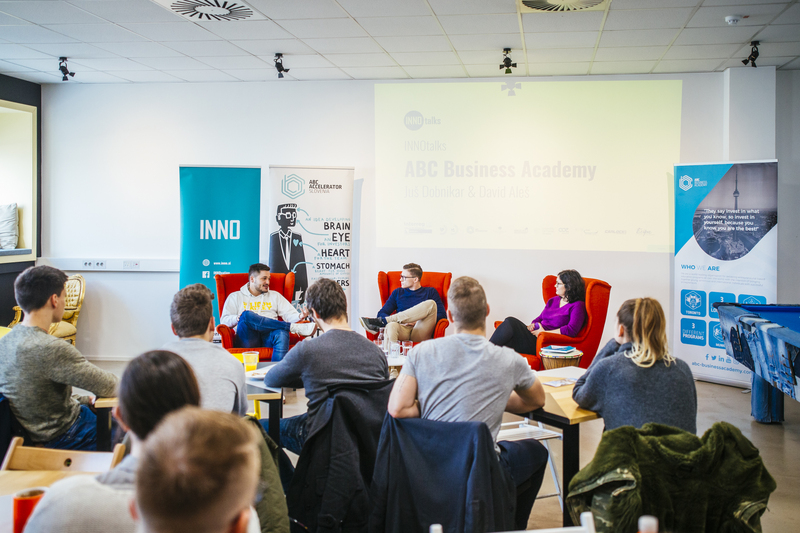 Start-up ABC Business Academy was conceptualized when its founders Juš Drobnikar and David Aleš visited Toronto. They are active members of Slovenian Business Club and their associates at the club suggested that they get acquainted with the school system in Canada, not just United States as they had initially planned. 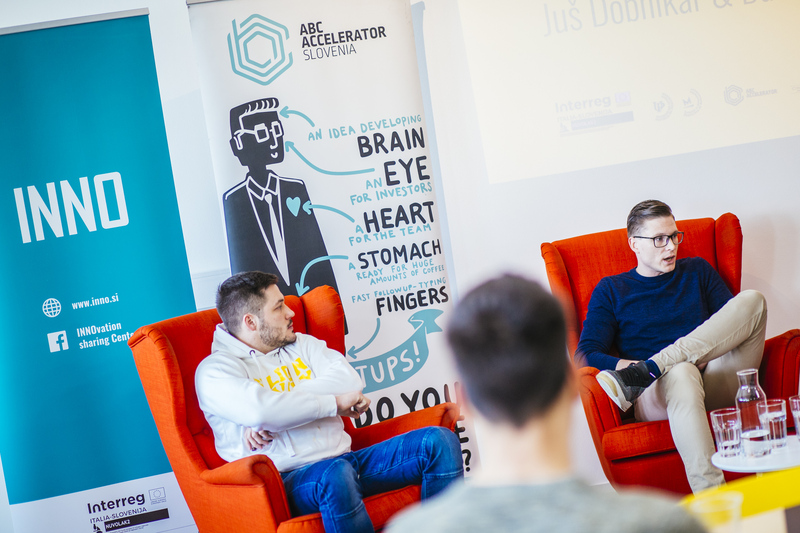 Drobnikar and Aleš were the guests of February Innotalks at ABC Accelerator. To this day, they have managed to complete more than ten academy programmes with over 30 participants in each. At the moment they are receiving applications for their summer school in Toronto, Silicon Valley and Munich. One can sign up via: https://abc-businessacademy.com/apply-now/. 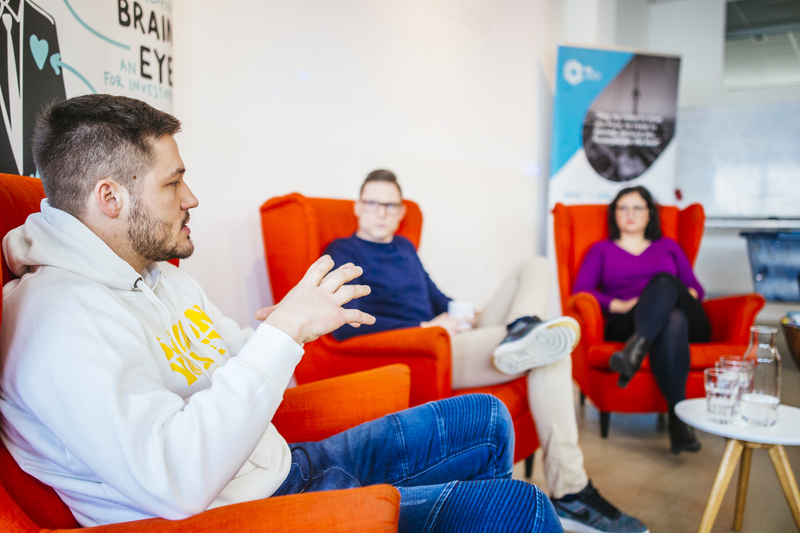 The idea of bringing Slovenian students into world capitals, such as Toronto, was thought up with a purpose – that as many students as possible would get a similar experience which was given to Drobnikar and Aleš. Drawing from the experience students could change their mind-set and move away from apathy. According to them, it is important that one learns from the best and this is a lifetime process. ABC Business Academy’s target group are mostly young people who wish to participate in change. One of the admission criteria is also that they know full well why they wish to join them in one of their many locations. Programmes in Silicon Valley, Toronto and Munich are similar in curriculum; they are, however, adapted to business culture and companies of the location. In Munich, for example, attendees of the program had to propose business solutions for transportation company Flixbus. While in Silicon Valley, the participants of the academy are encouraged to train 1-minute pitches or in other words: how to impress the hearer within a one-minute timeframe. Last year ABC Business Academy hosted students from over 40 countries in Silicon Valley. According to Drobnikar, all of them were taken for a visit to local corporations and got to know the mentors. The academy’s programmes vary also in length depending on the location. In Silicon Valley, for example, it lasts two weeks, while in Toronto it takes three. Most of the attendees take a chance and take this programme as a point for starting different careers. Many of the people who take part in the programme also consider funding their own start-ups, however, most end up working for one. Over the years around ten start-up companies have sprouted this route. According to Drobnikar, the curriculum of the Academy introduces one to Linkedin and other social networks as well. He believes fortune tends to favour the bold which is why he always encourages the young to be as proactive as possible: “It is wise to throw as many hooks in the lake as possible in order to catch a fish.” Yet, all depends also on the environment. In Munich, this tactic would less likely lead to success than in Toronto, where people are more open. ABC Academy’s business model does not rely solely on tuition fees of their summer schools. A lion’s share of their income comes from companies, which will be searching for new recruits in the future. In order to get the best candidates, they often turn to the academy. ABC Academies all over the world – also in virtual one! “We wish to open summer schools all over the world” Aleš says and adds, that they currently plan to open additional locations in Amsterdam and Dublin. Also Asia is on their wish list. “In addition to all this, we wish to offer our programmes and experience in the virtual world as well. “ Drobnikar concludes on their goals. The team of ABC Business Academy is made out of six members that work in Slovenia. The team members were handpicked by Drobnikar and Aleš from the attendees of their programmes. Also, 35 program attendees have been chosen to serve as ABC Business Academy ambassadors all over the world. Their next summer school will be in Toronto, fifth year in a row.